Visit xatonline.in choose the tab "Click here for New Registration" and enter Name, Contact details and Email-id. A Provisional XAT ID and Password will be generated by the system and displayed on the screen. Candidate should note down the Provisional XAT ID and Password. An Email & SMS indicating the Provisional XAT ID number and Password will also be sent. In case the candidate is unable to complete the application form in one go, he / she can save the data already entered by choosing "SAVE AND NEXT" tab. Prior to submission of the online application candidates are advised to use the "SAVE AND NEXT" facility to verify the details in the online application form and modify the same if required. Visually Impaired candidates should fill the application form carefully and Verify / get the details verified to ensure that the same are correct prior to final submission. Candidates are advised to carefully fill and verify the details filled in the online application themselves as no change will be possible/ entertained after clicking the FINAL SUBMIT BUTTON. The Name of the candidate or his /her Father/ Husband etc. should be spelt correctly in the application as it appears in the Certificates/ Mark sheets/Identity proof. Any change/alteration found may disqualify the candidature.Validate your details and Save your application by clicking the 'Validate your details' and 'Save & Next' button. Candidates can proceed to upload Photo & Signature as per the specifications given in the Guidelines for Scanning and Upload of Photograph and Signature detailed under point “C”. Candidates can proceed to fill other details of the Application Form. Modify details, if required, and click on 'FINAL SUBMIT' ONLY after verifying and ensuring that the photograph, signature uploaded and other details filled by you are correct. Click on 'Payment' Tab and proceed for payment. Bank Transaction charges for Online Payment of application fees / intimation charges will have to be borne by the candidate. XAT Registration Fee (without late fee) –Rs. 1650/- Candidates interested in XLRI programmes needs to pay an additional fee of Rs. 300/- each. XAT Registration Fee (with late fee) –Rs. 2000/- Candidates interested in XLRI programmes needs to pay an additional fee of Rs. 500/- each. The payment can be made by using Debit Cards (RuPay / Visa / Master Card / Maestro), Credit Cards, Internet Banking, IMPS, Cash Cards/ Mobile Wallets. On successful completion of the transaction, an e-Receipt will be generated.Non-generation of 'E-Receipt' indicates PAYMENT FAILURE. On failure of payment, Candidates are advised to login again using their Provisional XAT ID and Password and repeat the process of payment. Candidates are required to take a printout of the e-Receipt and online Application Form. Please note that if the same cannot be generated, online transaction may not have been successful. For Card charges are listed in Indian Rupee. If you use a non-Indian credit card, your bank will convert to your local currency based on prevailing exchange rates. There is facility to print application form containing fee details after payment of fees. The candidates are required to download the Challan Form and visit nearest IDBI Bank and make the payment. The Bank Shall retain Bank’s Copy and return Candidate’s Copy of the challan to the candidate. Please make a DD made from any bank in favour of “XLRI JAMSHEDPUR” payable at JAMSHEDPUR. After making Demand Draft applicant need to visit XAT login page and update the DD details (DD Number, Date and Bank Name). Before applying online a candidate will be required to have a scanned (digital) image of his / her photograph and signature as per the specifications given below. IN CASE THE FACE IN THE PHOTOGRAPH OR SIGNATURE IS UNCLEAR, THE APPLICATION MAY BE REJECTED. CANDIDATE MAY EDIT THE APPLICATION AND RE-UPLOAD THE PHOTOGRAPH/SIGNATURE IN SUCH CASE. Photograph must be a recent passport size colour picture. The picture should be in colour, against a light-coloured, preferably white, background. Size of file should be between 20kb-50kb. Ensure that the size of the scanned image is not more than 50KB. If the size of the file is more than 50KB, then adjust the settings of the scanner such as the DPI resolution, no. of colours etc., during the process of scanning. The Signature will be used to put on the ADMIT CARD and wherever necessary. The Applicant’s signature obtained on the ADMIT CARD and attendance sheet at the time of the examination should match the uploaded signature. In case of mismatch, the candidate may be disqualified. Size of file should be between 10kb —20kb. Set the scanner resolution to a minimum of 200 dpi (dots per inch). File Size as specified above. There will be two separate links for uploading Photograph and Signature. Click on the respective link "Upload Photograph / Signature". Browse & Select the location where the Scanned Photo/ Signature file has been saved. Select the file by clicking on it. Applicants should note that registration for XAT 2018 and appearing for XAT 2018 is the preliminary step towards applying to XLRI and XAT Associate Institutes. Applicants to different institutes, besides XLRI have to apply separately to Institutes of their choice. Applicants for XAT 2018 can choose to pay online using credit card/ debit card/ online banking. Candidates can also make payment through a demand draft made from any bank (in favour of XLRI Jamshedpur). Third alternative for making payment can be “cash”. This can be done from any of the IDBI Bank branches located in India to make payment for XAT 2018. Basic Info : Once you complete filling the Basic Information, an email will be sent to your email id with a provisional XAT ID and password. Please ensure that you provide a valid email address. Please ensure that you use your personal email address only as your primary email address in the application. (If you use your official email address and in case you switch jobs, it would be difficult for us to communicate with you). Please add admissions@xatonline.in as trusted sources in the anti-Spam software of your email. Otherwise, either you will not receive important emails or they will get delivered to your Spam/junk folder. Please access your emails regularly and ensure that your inbox is accessible. Please note that the XAT ID and password gives you an individual login on www.xatonline.in and on frequent intervals, you need to check for mails from XAT & other associated institutes. Please ensure that you give your correct mobile No. to receive SMS alerts. XAT Registration Fee (without late fee) –Rs. 1650/- Candidates interested in XLRI programmes needs to pay an additional fee of Rs. 300/- each. XAT Registration Fee (with late fee) –Rs. 2000/- Candidates interested in XLRI programmes needs to pay an additional fee of Rs. 500/- each. Procedure for applying to XAT Associate Institutes using XAT Score for short listing candidates for their admission. Obtain the Application Form after registering online by making appropriate payment. Further details can be obtained from the respective Institute's website or their Admissions office. Follow their registration/application procedure. Candidates may please note that XLRI does not ascertain quality of the degree or programme(s) offered by other XAT Associate Institutes. Please note that each institute independently decides the weightages to be given for each of the test components on the basis of its needs. XLRI does not play any role in selection of the candidates in these institutes. All payments made for registration for XAT and XLRI are non-refundable. The XAT Score Card containing the performance of the candidate in XAT 2018 will be mailed individually to all the candidates. If he/she has not been in India for a period of 730 days or more during the preceding seven years. Persons of Indian Origin : "Persons of Indian Origin" (PIO) in this context means a person having foreign citizenship (except Pakistan and Bangladesh) without "NRI" status, but who holds a Foreign Passport at the time of sending application, consideration for admission and during the period of his study and he/she or anyone/ both of his/her parents or anyone / both of his /her grandparents is (or was) / are (or were) citizen (s) of India by virtue of the provisions of the Constitution of India or Section 2 (b) of Citizenship Act, 1955 (Act No. 57 of 1955). Q. 1 What should I do if there is lot of delay in accessing the page? Q. 2 How do I know that my application is registered? Successful Registration is indicated by the Page displayed after clicking the Submit Button indicating the generated "XAT ID". Please note down the same carefully and preserve it. If you do not preserve it, you will not be able to Re-Print the Application and download the Admit Card. Q. 3 I did not receive the email intimation for registration of my application? "XAT ID" and "PASSWORD" are also sent by auto-response Confirmation emails. Delivery of these emails purely depends upon the correctness of E-Mail ID provided, Policy of your E - Mail Service Provider to accept and Divert such emails under Bulk or Spam Mails or bounce back such mails without accepting it due to heavy number of emails generated by our Applications. In case of Govt./official /company Email Ids , delivery is controlled by your Company Policies. Therefore, please do not expect replies from us, if you do not receive such confirmation / auto -response Emails. Q. 4 How do I re-confirm that my application is saved? Q. 5 I got Blank / Zero XAT ID after submission of application on-line? In rare cases Candidates may get Zero (0) XAT ID with valid Password. Candidates are advised to Re-Register the Application and check the Printout through Re -Print Application. Q. 6 After filling up the complete form, I got Blank Screen / Internet got disconnected / My PC closed / hanged / shutdown. Is my application saved / registered? Please refer to queries mentioned above. If you do not get the application printout through Re-Print option, your application is not saved. Please re-apply. Q. 7 I did not receive the acknowledgement / reply to my email communication? "Reply to" Email Id for the Application is created for the convenience of the Candidates for genuine communications. Please do not use this address to send back the emails for "Acknowledgment", "Vacation Mail", "Friendship Offers", "Sales Offers" etc. Our Email Server is configured to delete such emails automatically. Q. 8 What details should I retain while replying to auto-response emails? While writing back by replying the confirmation emails for genuine problem, please retain the text containing "XAT ID" and "PASSWORD" details on the email. Q. 9 What details should I provide while writing for the problem? Please do not forget to provide following details while writing to us: (1) XAT ID (2) MOBILE NO. (3) DATE OF BIRTH & (4) FULL NAME as entered in application. In case of application failure or any error message, we would like to have the screenshot of the error in JPG, GIF format or as MS Word file. Additionally, you may provide the PC Details including the Operating System (like Windows XP, Vista, Linux etc.) & Internet Browser & version (like Internet Explorer 6.0, Mozilla 3.0, Firefox 3.5 etc.) used. Q. 10 I want to change / correct the details I entered in the Application? Prior to submission of the online application, please choose the 'EDIT' option to correct the details. Please remember to take fresh print out after modifying any details. Candidate should note that the data entered in Basic Info cannot be modified. Please make one more attempt from any other PC with either Internet Explorer (9 or above), Mozilla Firefox 3.0 or above, Google chrome 3.0 or above with java script enabled before filing the report with our help desk." Q. 11 How do I apply for Fellow Programme in Management other than XAT? Q. 12 How do I apply for XLRI programe through Gmat? Q. 13 What is the eligibility criteria for taking XAT 2018? Recognized Bachelor’s Degree of minimum three years duration or equivalent in any discipline. Those completing their final examination by June 10, 2018 may also apply. All Indian candidates must appear for XAT 2018. However, NRI and Foreign candidates may apply through GMAT score (except Dubai and Kathmandu wherein candidates also have an option of appearing for XAT 2018). Q. 14 I am in the final year of my graduation, what percentage should I fill in the form? Please enter the aggregate percentage of marks obtained till the time of filling the form. Q. 15 By Registering and paying for XAT 2018, am I eligible for XLRI and other Associate Member Institutes? 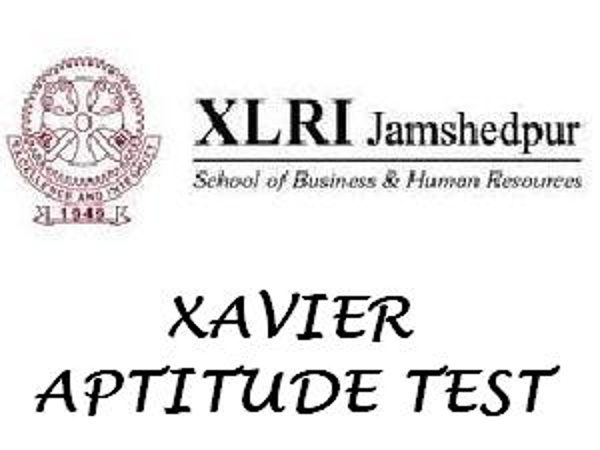 XAT is a common test for admission into academic programmes of XLRI. Q. 16 When shall I receive the XAT 2018 Admit Card? You can download your admit card from our website www.xatonline.in 20th December 2017 onwards. Q. 17 What is the duration of the test? The duration of the test will be of three hours and thirty five minutes i.e. from 10:00am to 01:35pm on Sunday, January 7, 2018. Q. 18 When are XAT 2018 results out? Results will be available on the website by 31st January 2018. Q. 19 When can I check & confirm if XAT Office has received my Draft. Candidates will receive a message in the login page only after XLRI receives the draft. Q. 20 What do I do if I am unable to make the payment online? Q. 21 I have done 5 years integrated course, so how will I enter my percentage? Candidates who have done 5 years integrated course can fill up the same percentage for graduation and post graduation. Q. 22 How do I calculate the aggregate marks for CBSE /SSC. Is it the best 5 or all the subjects? The candidate should take the aggregate of all the subjects for 10th. Q. 23 Does internship/Articleship counted as work experience? Q. 24 Does the work experience before Graduation is counted? No, it is not counted as work experience. Q. 25 I have less than 50% in graduation, am I eligible to apply for XLRI? Yes, you are eligible to apply for XLRI. Q. 26 I am in the final year of my graduation, am I eligible to register for XLRI? Yes, you are eligible for admission to XLRI. You need to complete your final year examination by June 10, 2018. Q. 27 I have forgotten my XAT password, could you help!